Love is in the air, and with Valentine’s Day around the corner, Sony’s taking the opportunity to showcase some new… Days Gone screenshots? You may recall the platform holder sending wedding invitations out to press, welcoming them to the upcoming nuptials of Deacon and Sarah St. John. We speculated that the organisation may have a new story trailer lined up, but perhaps it has an even bigger campaign in store. Deacon St. John and Sarah Whitaker were an unlikely couple: he was from rural Oregon, a member of an outlaw motorcycle club; she was from Seattle, a botanist with a degree in biochemistry. But from the moment they met, on the back roads of Farewell Oregon, they were inseparable. Now they’re ready to ride off into the sunset and face the next chapter of life together as man and wife. Of course we have a sneaking suspicion that things aren’t going to be as straightforward as that – especially with an impending apocalypse around the corner. 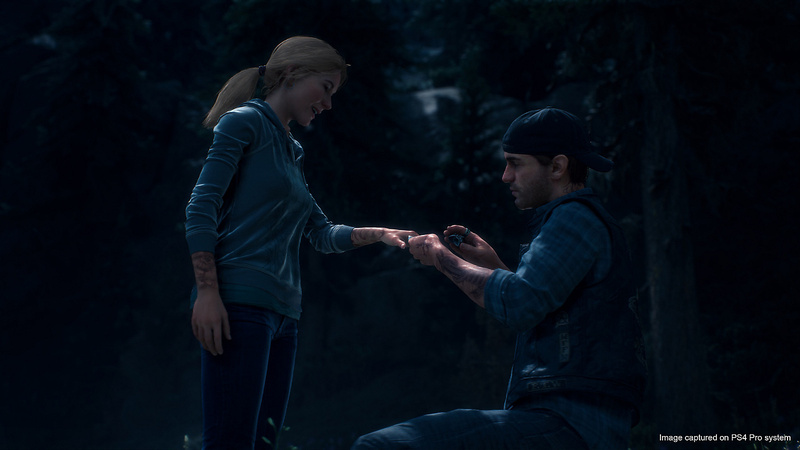 We’re fascinated to see what Sony’s got in store next week – it’s doing a good job with its Days Gone marketing thus far, and let’s hope that continues through to release in April. @get2sammyb Best spoken dialog in video-game history. No joke. OK, now admittedly I'm a jaded SOB, but does this feel tacked on to anyone else? Like they spent 3 years making an open world zombie shoot'em up, finished it, then realized there was no there there, looked at TLoU, and decided to add in a story? So you guys - are there ever any women in here? - know your stuff, was his wife shown or discussed way back when? It has been at least 3 years since this was announced as "Hell on Wheels" or whatever it was called, right? Was she a part of it all along? Regardless, I still say ALL OF THIS is told in flashback over the course of the game, like "Memories" in Zelda:BotW, or those high points in H:ZD, b/c its too TLoU like if it's at the beginning. Western Oregon is so beautiful. Lived there for a few years and loved it. I hope the narrative doesn't end up being as predictable as these screenshots suggest. I didn't know Elena jumped ship to Deacon. @rjejr Uh she was in the initial announcement trailer 3 years ago which means she was always part of the story. Sony just hasn't talked much about said story. Nothing about this is tacked on. 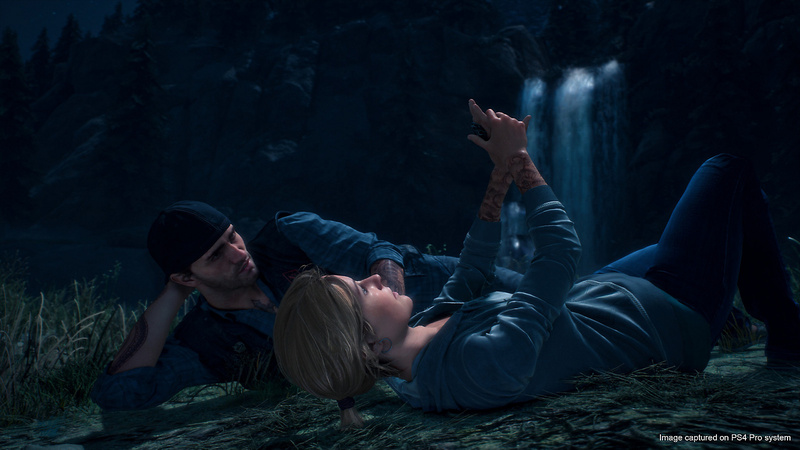 So I guess if any other Sony game has a blonde female in it then it's Elena. How pathetic can these comments here be. A biochemist you say, I wonder if that could be pertinent information? @Nerdfather1 Did you ever see Elena? Silly comment of the day. Didn't you see the reveal trailer? Yes its flashback of course. Its old news. @rjejr The very first trailer they showed in 2016 (?) had the wife in it, so I very much doubt it’s been tacked on. anyway i'm looking forward to this game,and i think the screenshots are actually part of the intro chapter of the game. @PSfan4Life22 as pathetic as jokes can get, which has a cap in my opinion. @PSfan4Life22 easy there,all of it is in good spirit. @Flaming_Kaiser Yes, and she's much better looking. Also, I was just joking. @get2sammyb you left out the scenery shot and the little captions. The one with them on the bike is potentially ominous. Uh oh. I don't think she's going to last long. This is like the bit in Hot Shots when he's about to get in the plane. "Your life insurance form came through for you to sign"
"I'll sign it when I get back"
Alot of people think they know the outcome already but what if Bend Studio have the biggest curve ball stored away. To us it looks like his wife to be tragically didn't survive the apocalyptic outbreak & that it looks like he's remembering the past but what if his wife to be isn't the kind hearted person she seems....what if she's the main villain of the story? And Deacon is being led down a rabbit hole of lies & deceit amoungst this chaotic plague. @playstation1995 what is that joke based on ? The game looking great. I’m glad Sony bend is taken their time polishing this bad boy up to perfection this starting to look like it could be another big hit for Sony. Awesome, Days Gone going to be lit! Thanks everyone, especially DL for the link, links are good. Does explain where they got the name of the game from though. And now that I've rewatched it the part where he said her hair on his neck did come back to me. But I think mostly back then I was just watching w/ my jaw dropped on how that could have easily been a trailer for TLOU. 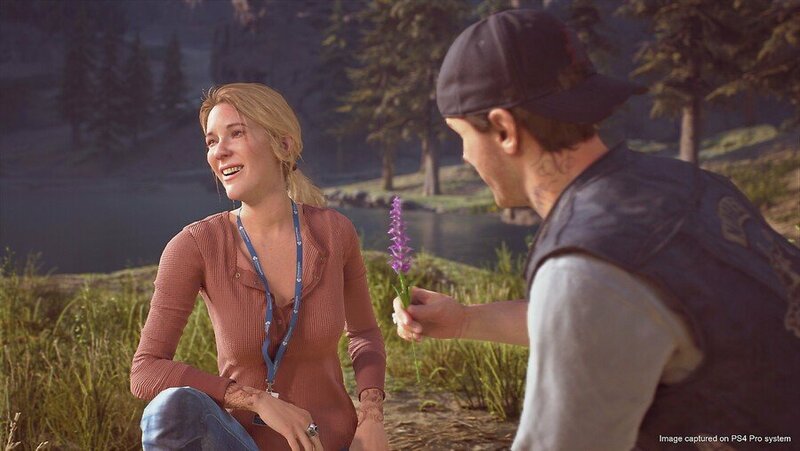 Sure, his accent is a bit southern, but if you got the actor from TLOU to voice that trailer w/ the exact same video I'm pretty sure you could pass it off as a TLOU trailer to people who haven't played it yet. Both of them. OK, if you hated that question you'll despise this one. 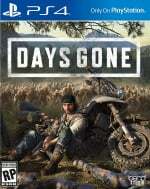 That linked to trailer from E3 2016 said Days Gone. Now I am very forgetful these days, like Memento forgetful, but I'd swear this game started with a different name. A really stupid motorcycle club like name. Oh well, since you all took pity on me for the last question I'll look this one up myself. Man, that took forever, no matter what I typed into Google I coudln't find a previous title for this game and it was driving me nuts. 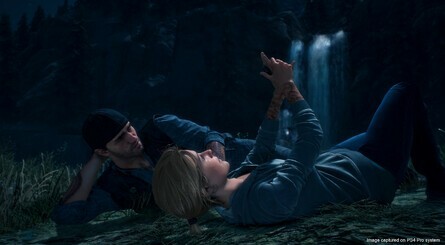 Finally found it on PS from Nov 2016. Or, ya know, I just coulda looked over at the box in the upper right corner of the page. Well I'm 1 for 2, I'll take it. If you mean 'to people who havent played TLOU yet' fair enough! 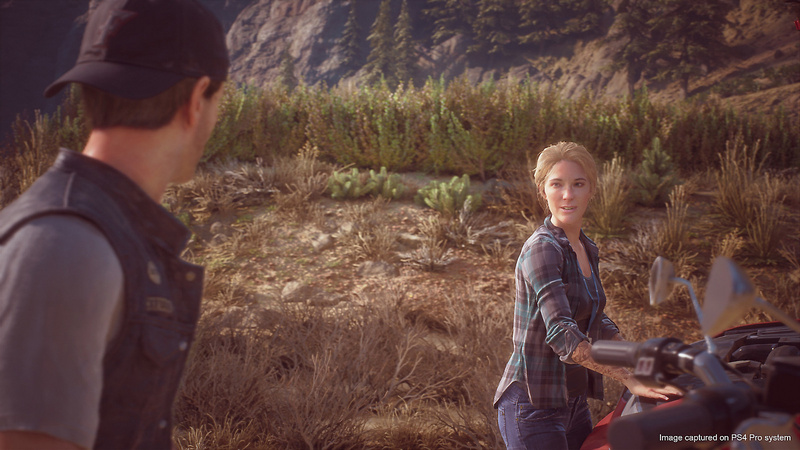 Its the same setting as in Im a legend movie and unlike what many people say (its just a zombie game/s), I dont know many games which have the same setting with meaningful story and characters. People who havent played (or watched) TLOU obviously have no idea what its about story and gameplay. I dont understand your last question. Its a known fact that they used to call it Dead Dont Ride and knew it was a silly temporary title as explained in an interview last year. Only a very early leak in 2015 made it known to the public. Your looking at it the wrong way. We all know Deacon lost her. It was said in the very first trailer. Now how he lost her is what will be shown in flashback memories. Anything can happen. We only know Deacon lost her. Although the most likely is she died its still very uncertain how that may have happened too. By the way, I think the game has a really strong title. 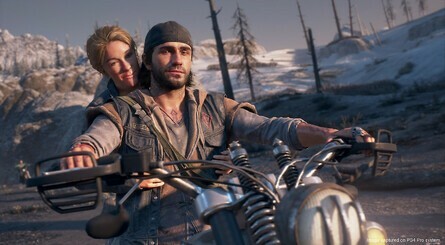 Days Gone is great. Also, looking forward to this one. Also, haters gonna hate. @JJ2 "Its a known fact that they used to call it Dead Dont Ride"